Though Apple's products are banned from sale in Iran due to U.S. sanctions, unauthorized sales remain big business in the Middle Eastern country, according to a new profile. Apple products illegally make their way through "underground trade routes in the Middle East and beyond," according to Reuters. Author Marcus George detailed in a story published on Friday how iPhones and iPads were once "rare and sought-after," but are now "de rigueur in Iran among those who can afford them." 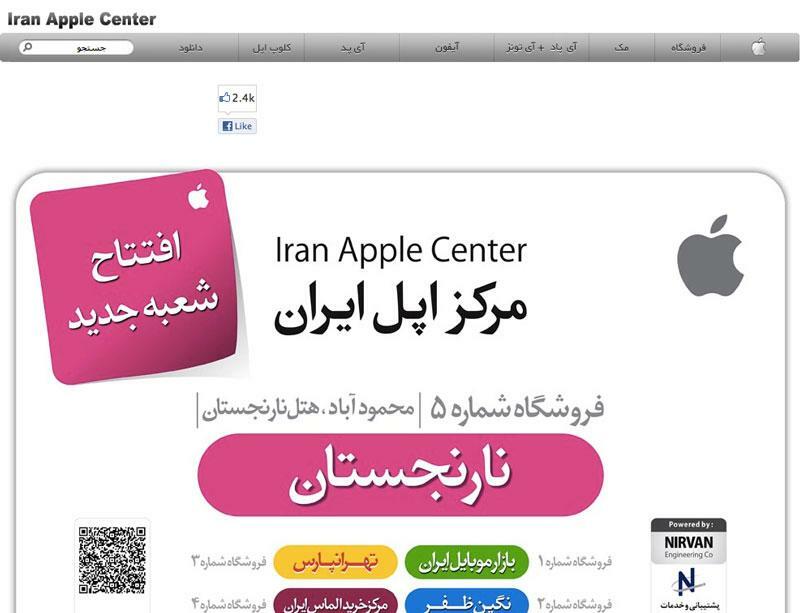 Among the resellers included in the profile is "Iran Apple Center," which runs a website that looks extremely similar to Apple's official store. Citing a person familiar with the matter, George said that Apple has been attempting to shut that particular website down. The report also features comments from Majid Tavassoli, owner of RadanMac, which is one of 100 estimated stores in Tehran that sell Apple products in spite of the U.S. embargo. Tavassoli characterized his business as "booming." Apple products are said to be so readily available in Iran that devices can often be found at prices not much higher than they sell for in the U.S.
American companies like Apple are barred by the U.S. government from selling products in Iran without special authorization. The goal is to curb the nation's nuclear program, particularly by hurting Iran's banks and oil industry, which are suspected of assisting in the development of nuclear weapons. Friday's report isn't the first time this week Apple has been linked to Iran in the media. Apple Chief Executive Tim Cook also made a surprise appearance at Allen & Co's annual media retreat in Sun Valley, Idaho, to sit in on a session entitled "Iran vs. Israel."